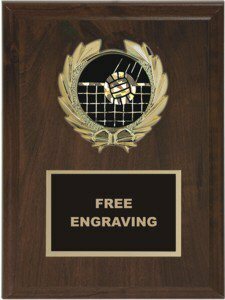 An affordable volleyball plaque, will make a great award for your event. Available in cherry and many marble finishes. Express your message with a free engraved black and gold plate.